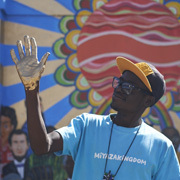 The sun blazes down. 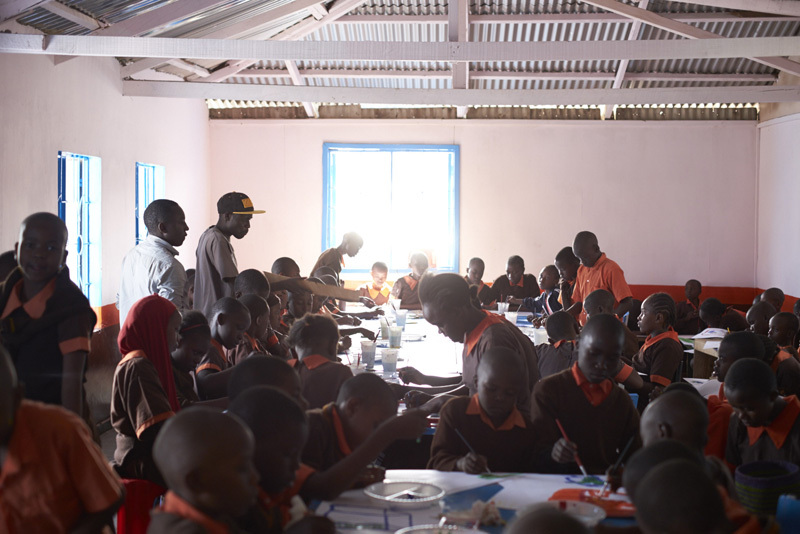 An aroma of charcoal floats in the air; children's voices ring out, happily reciting from their textbooks. 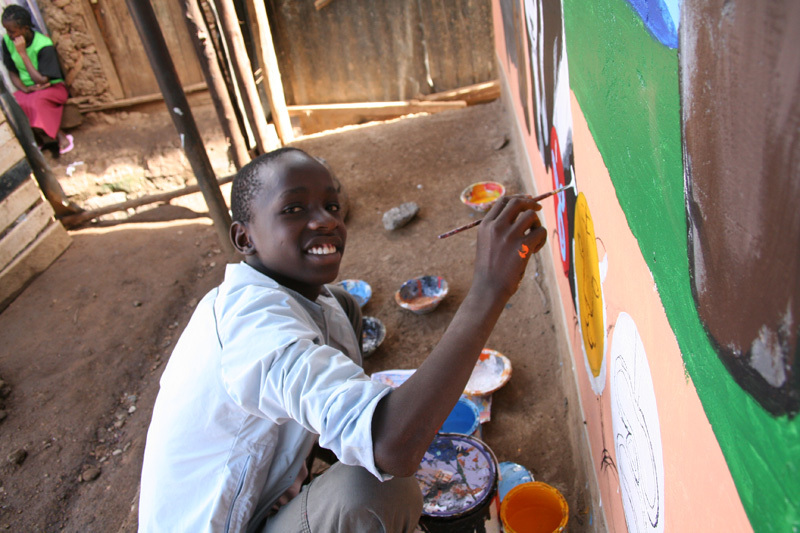 Clouds of dust rise up as youths chattering away in Swahili come and go, taking turns to apply colors to the wall, while beyond it come the sounds of uplifting African music. 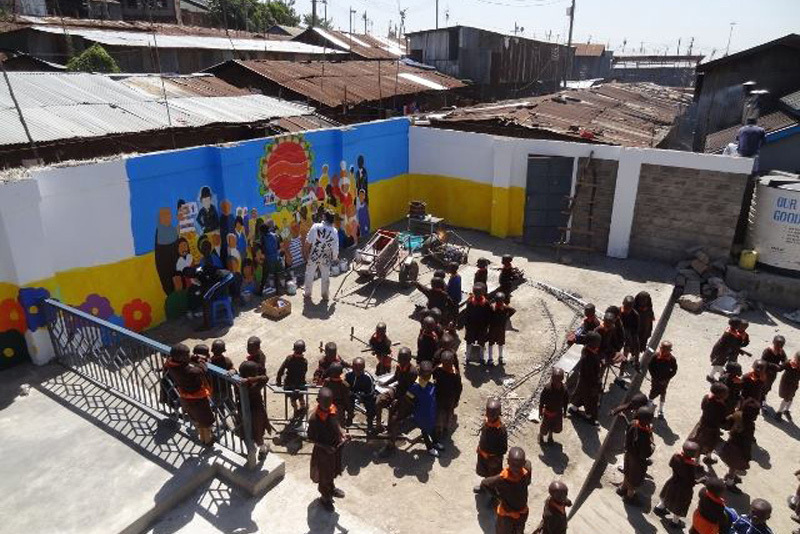 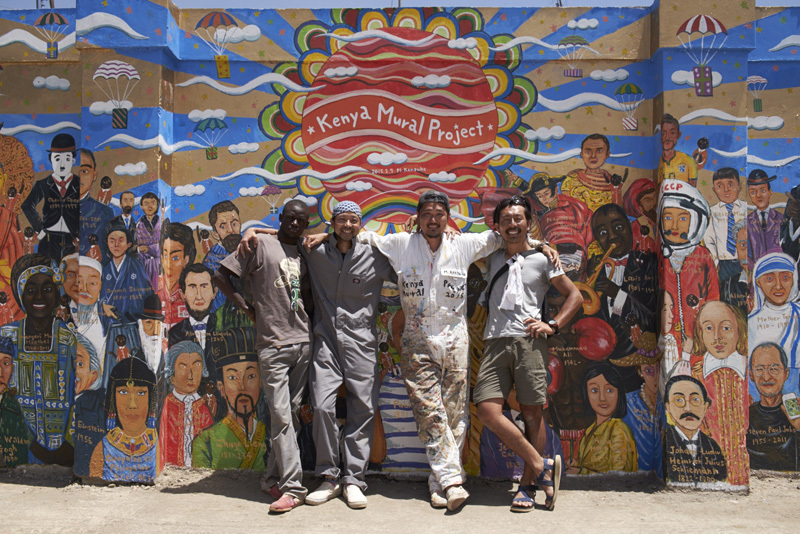 The Kenyan mural project began from January 23, 2015 and after working non-stop for two weeks in the blistering heat, a giant mural measuring 20m in length was completed at Magoso School. 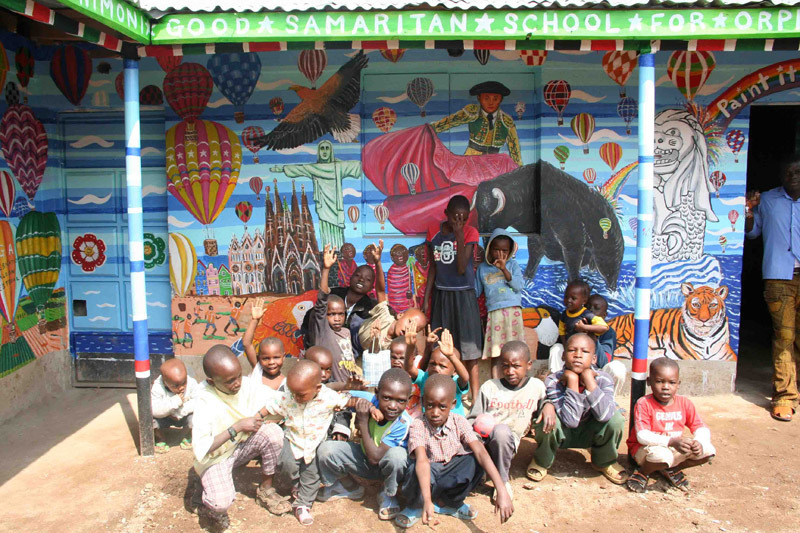 This school is located in the Kibera Slum, home to one million people, and it was badly damaged in a large-scale fire last December. 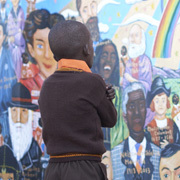 The mural was painted with sincere wishes that such a tragedy never happen again. 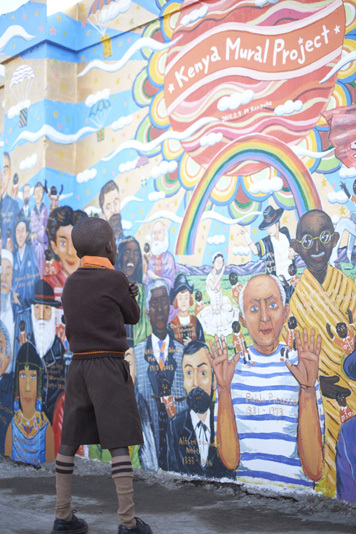 On entering the school grounds, the main mural titled "Great Figures of the World" can be seen on the left wall, flanked on either side by colorfully painted flowers. 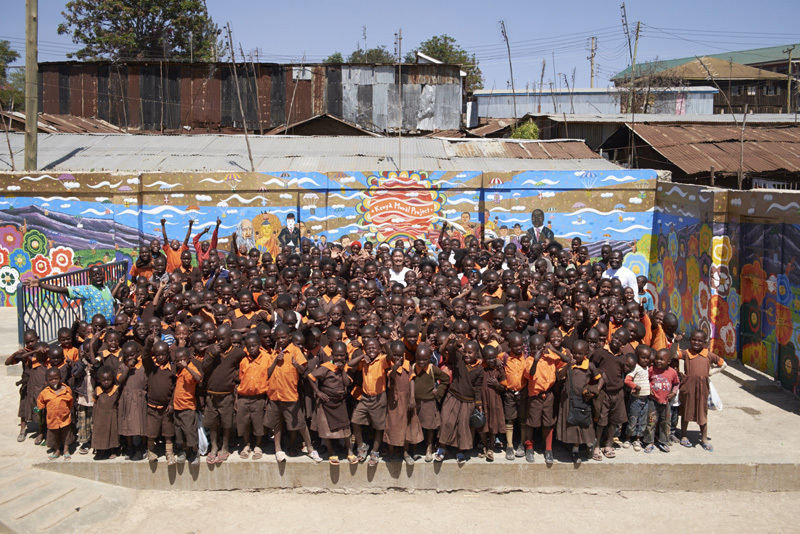 From the bright blue sky and between golden rays of sun, presents fall and children wearing the orange uniform of Magoso School raise their arms to catch them. 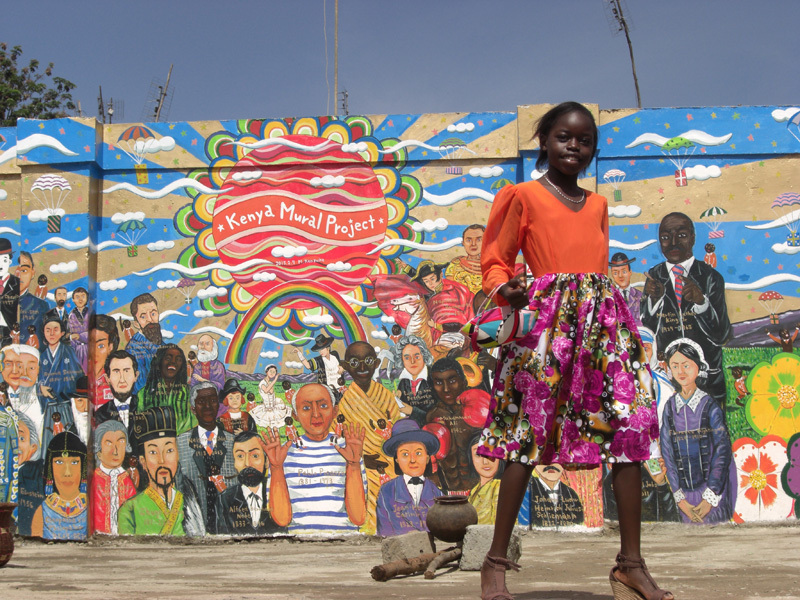 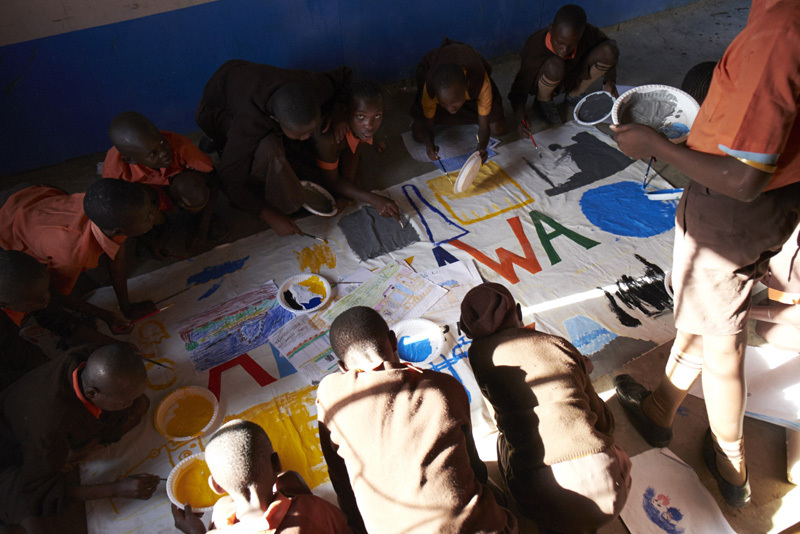 This completed mural could rival the Kenyan sun with its bright colors. 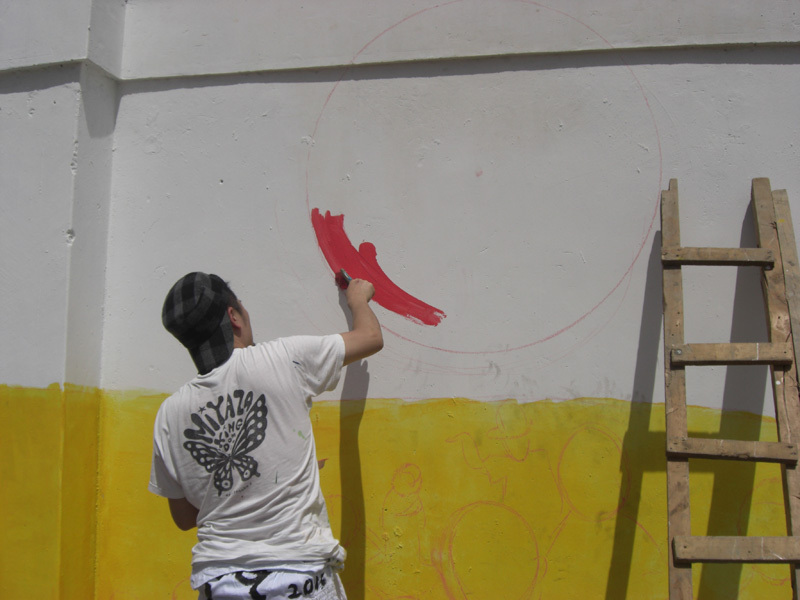 The project began one year ago, based on the theme "what can be done with art? 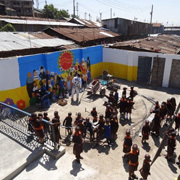 ", and took a participatory approach, including a puzzle to be shared by 1,000 people, and programs to link Japanese and Kenyan children. 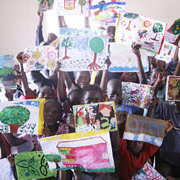 Communicating through art means words are not necessary. 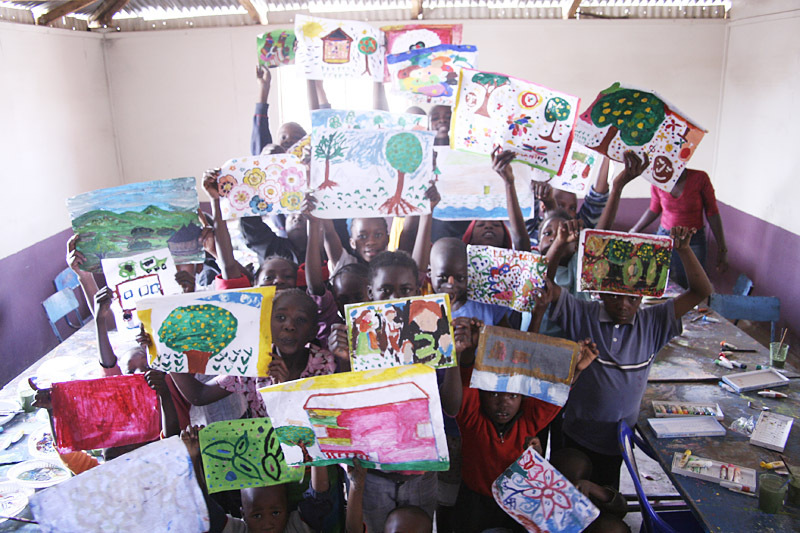 By overcoming the obstacles of poverty and disparity, people's spirits can be reflected, and whatever the environment children are in, they love to draw pictures and want to express themselves. 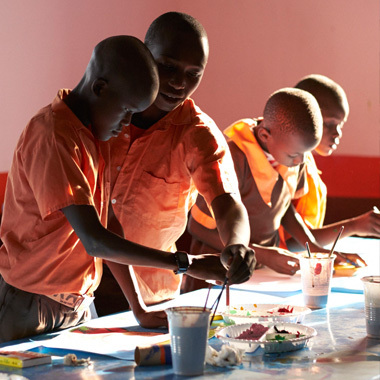 Through this project, I was reminded once again that art has a huge impact on people and that it has the power to create connections. 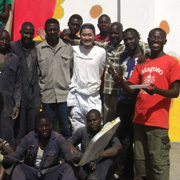 I would like to continue these activities and expand the project to many different countries. 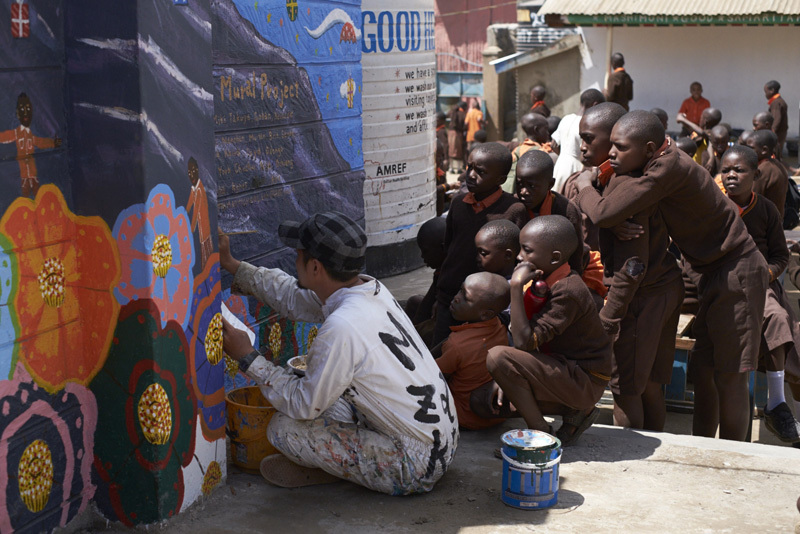 As I complete murals around the world, I want to communicate with people and that in turn is sure to show what greater things can be done with art. 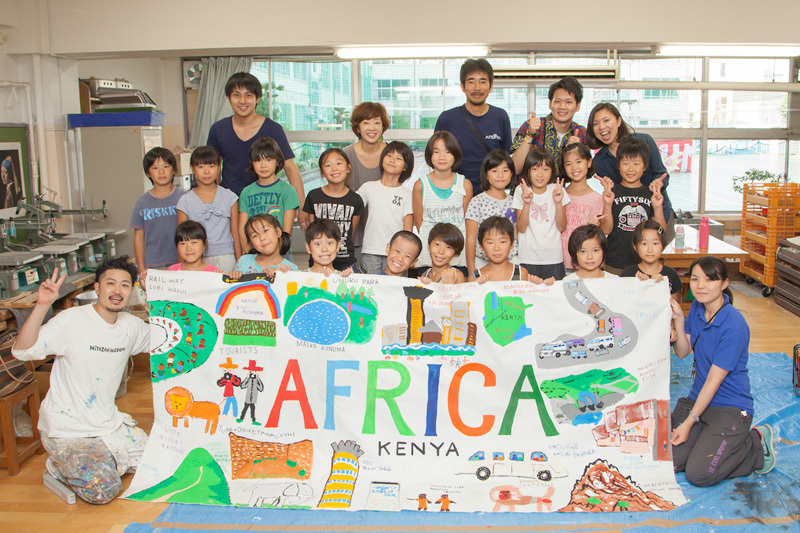 So that the children at Magoso School could communicate with children in Japan, I ran a summer school at Ogumiyamae Elementary School in Arakawa ward and implemented an exchange program between the two schools. 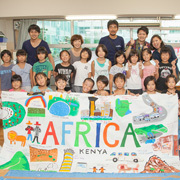 Using Skype to link Nairobi and Tokyo, the children of both countries were able to form deeper understandings of each other. 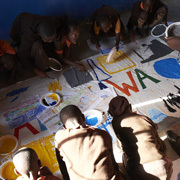 For the Flag Exchange Workshop, 20 words connected with each city were chosen and the children drew images of those words on white cloth. 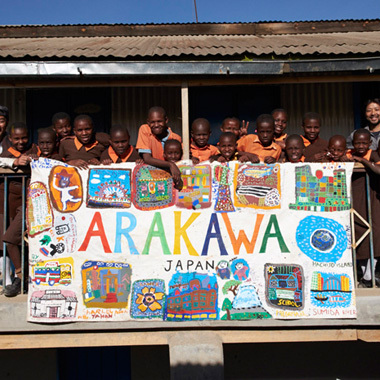 The children in Arakawa drew the Kenyan images and the Kenyan children drew the Arakawa ones. 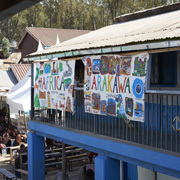 Then the completed flags were exchanged as a sign of the friendship between the two schools. 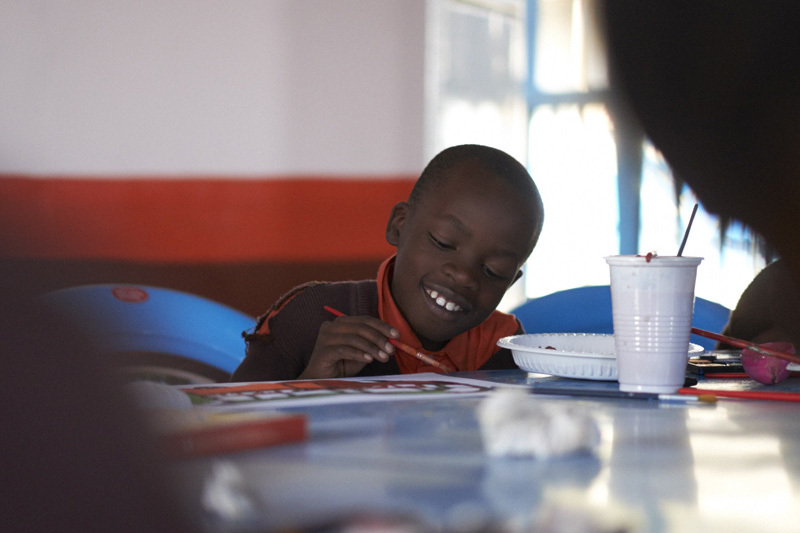 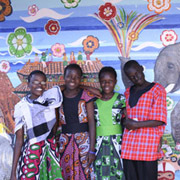 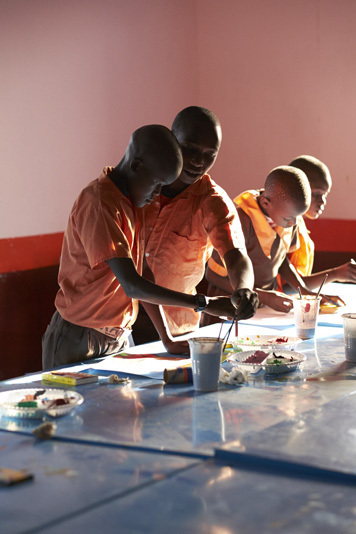 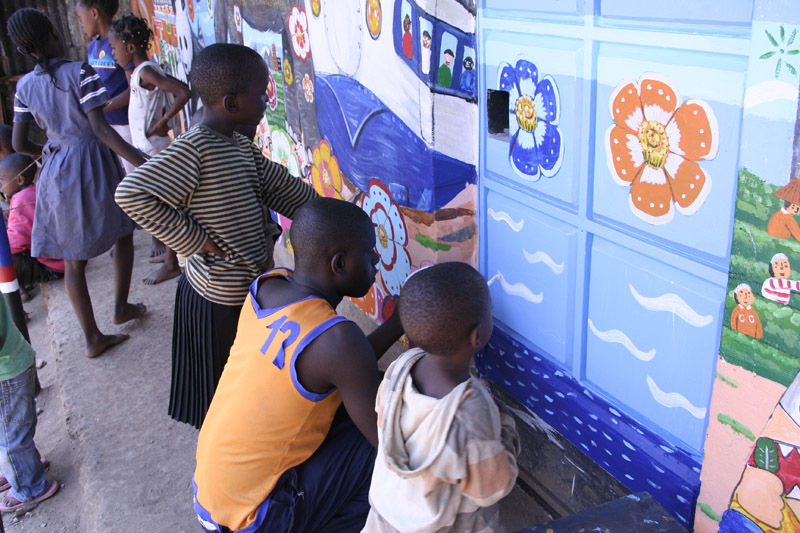 For children in slums, it is essential that they have a place where they can express themselves. 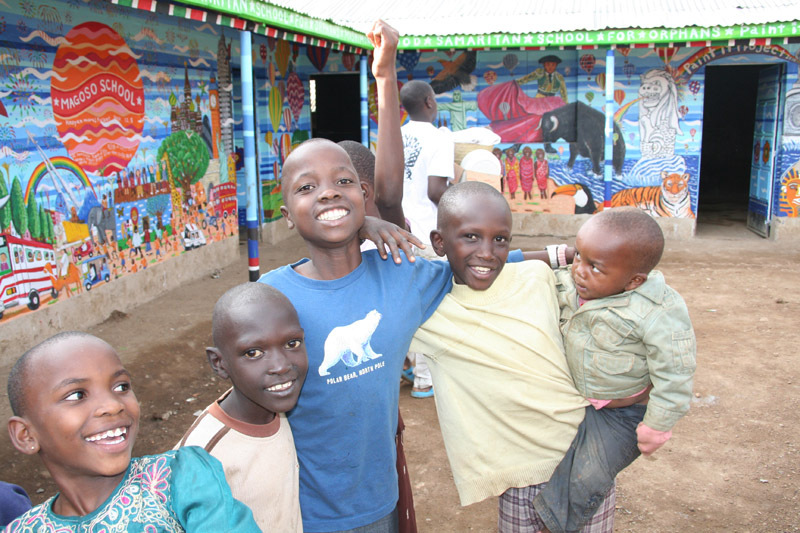 Many children retreat inside themselves from having to live under terrible living conditions and family environments. 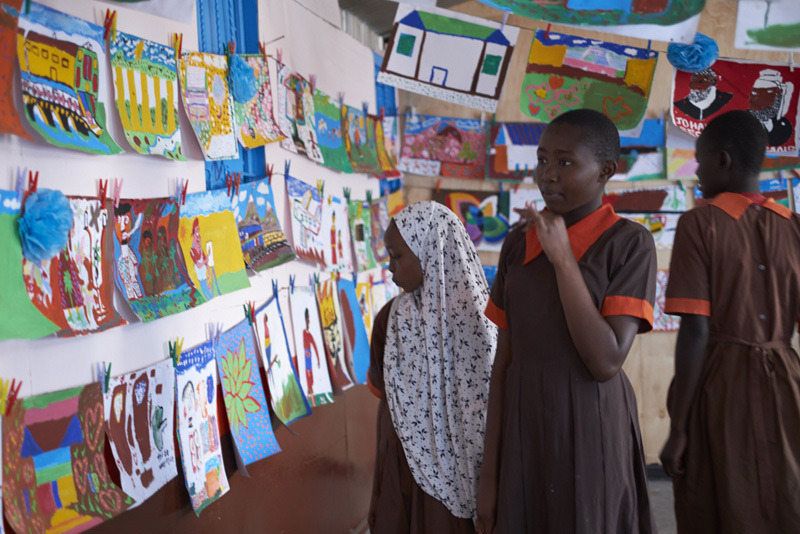 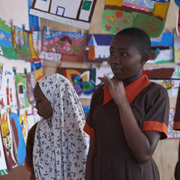 Along with other activities like studying, music, and sports, I wanted the children to be able to experience art as a way of expression and planned art classes for them. 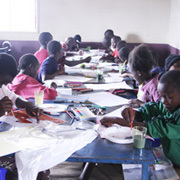 Around 250 children participated and a series of 2-hour classes were held over 3 days. 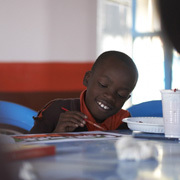 We brought acryl paints and crayons from Japan and the children drew pictures freely. 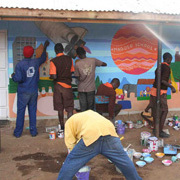 The concept of this project is based on the idea of having 1000 sponsors. 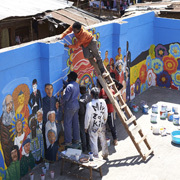 Together with the renowned artist Miyazaki Kensuke, selected elementary school children from Japan will be drawing a mural on the campus of Magoso Elementary School (5*1.4M). 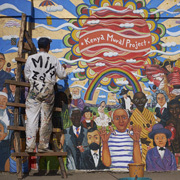 Once completed, the mural will be divided into 1000 pieces. 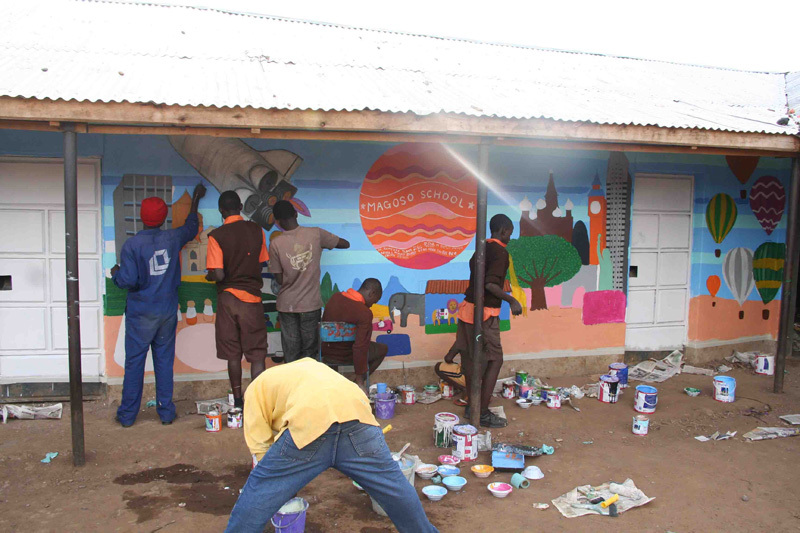 Each sponsor will be given one piece of the mural as a token for their contribution to the less privileged children in Magoso Elementary School. 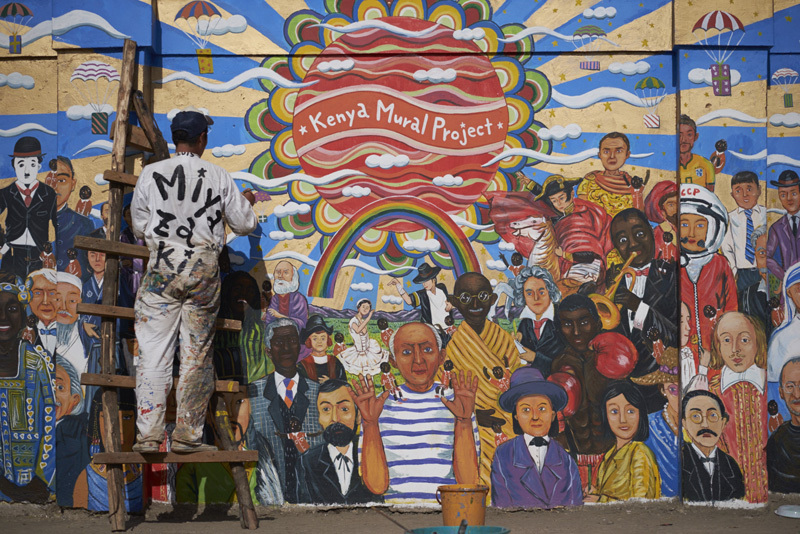 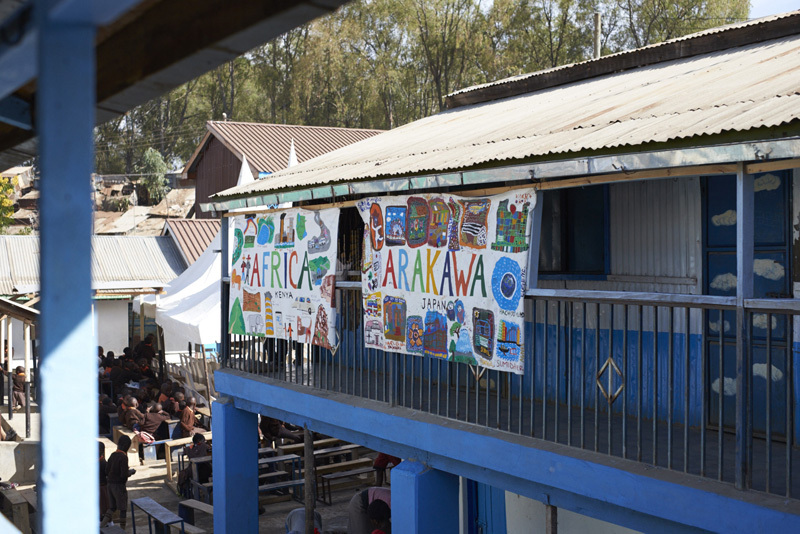 In order to draw the mural in Magoso Elementary School, located within the Nairobi Kibera Slums, artist Miyazaki Kensuke launched a project called "Paint it". 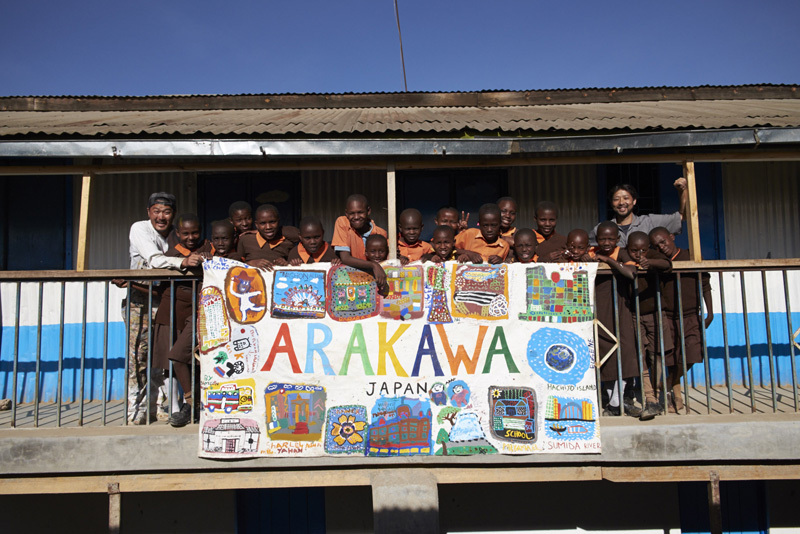 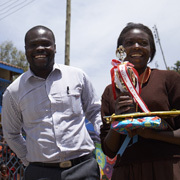 This project aims to connect elementary school children in Japan and the 1000 sponsors to the children living in the Slums in Kenya. 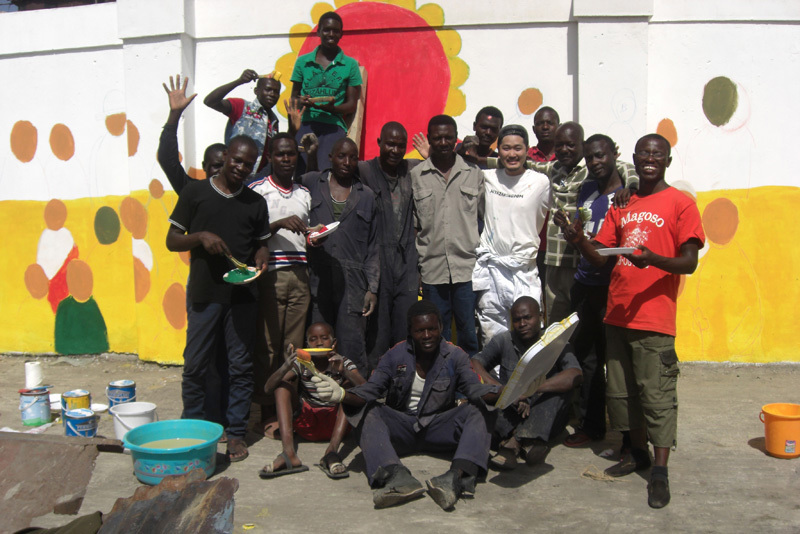 What can we do with the paintings? 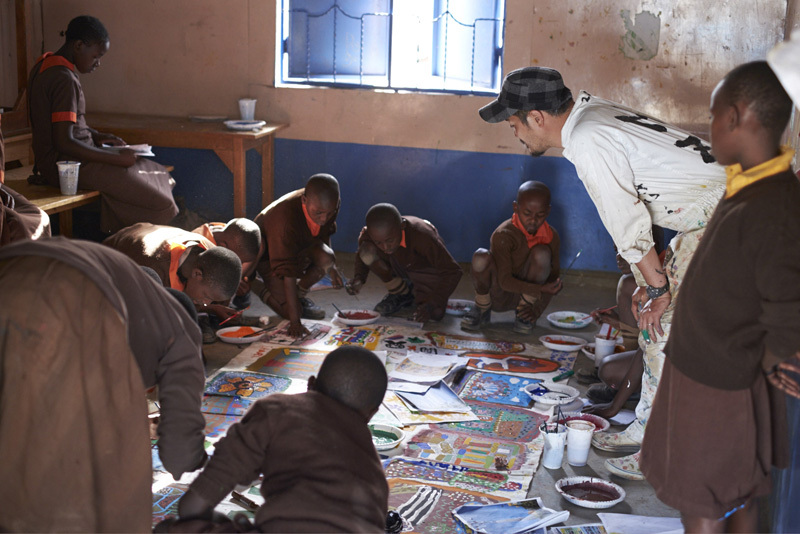 Artist Miyazaki has traveled to many developing countries. 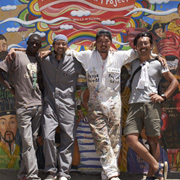 After the Japanese earthquake, he has been engaged in various mural projects and activities. 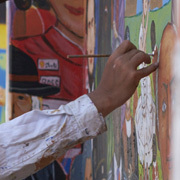 Miyazaki believes that colors and paintings have a powerful positive impact on the physical, mental and emotional health of those who have suffered loss. 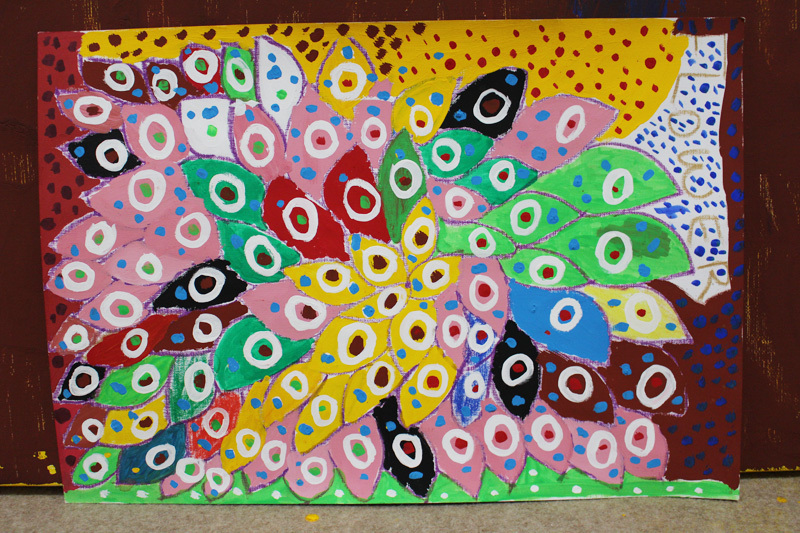 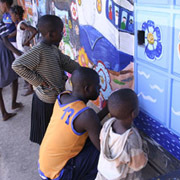 He also believes that involving various people in the painting process can connect people from all walks of life. 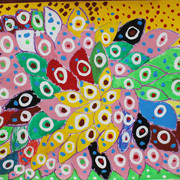 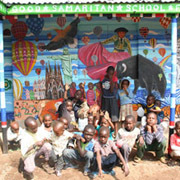 The Kenyan Mural project is an example of this. 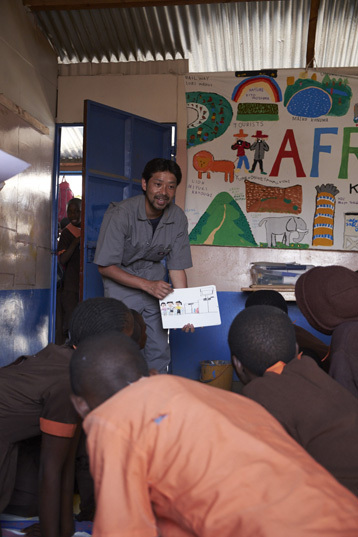 Japan is a country in another continent, far away from Kenya. 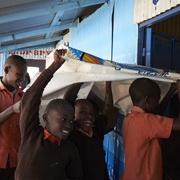 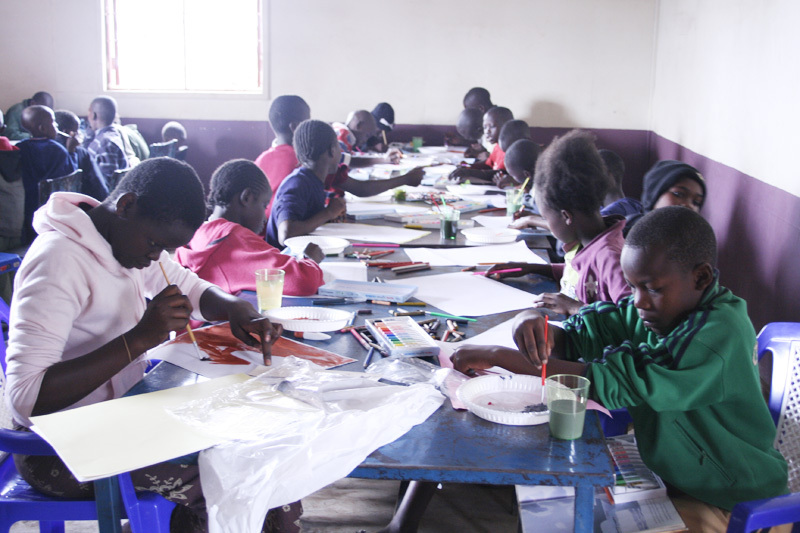 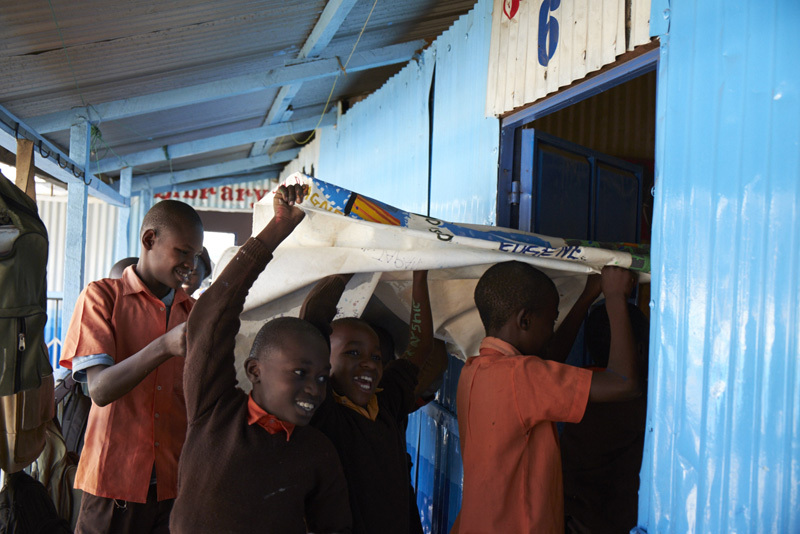 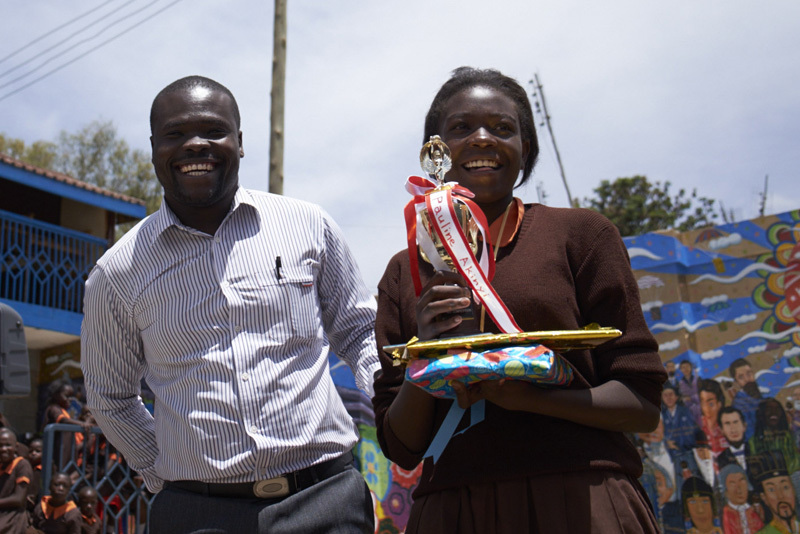 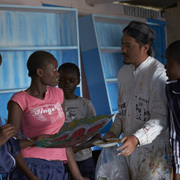 Nevertheless, Japanese and Kenyan Kibera Slum children were able to work together and connect with one another. 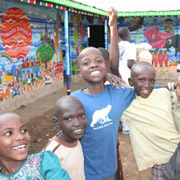 This project is a way of helping, connecting and making the world a better place. 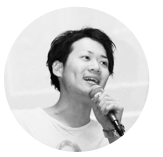 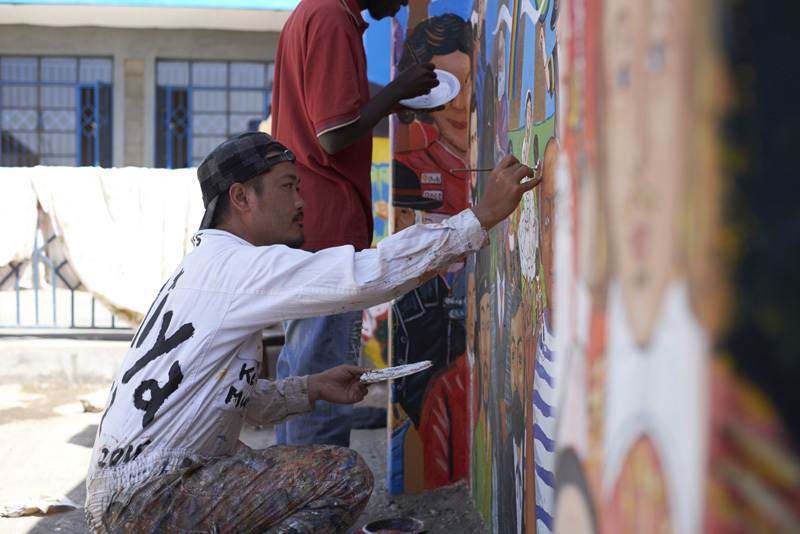 After returning to Japan, he worked for NHK as a "live painter" for a program called " Enthusiasm Time"
He also worked on other projects such as the Kenyan Mural project, Tohoku project and other projects across Japan and around the world. 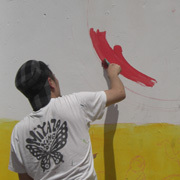 Miyazaki Kensuke has worked on two Magoso Elementary School mural projects in 2006 and 2010, where children and adults participated to draw and paint the mural. 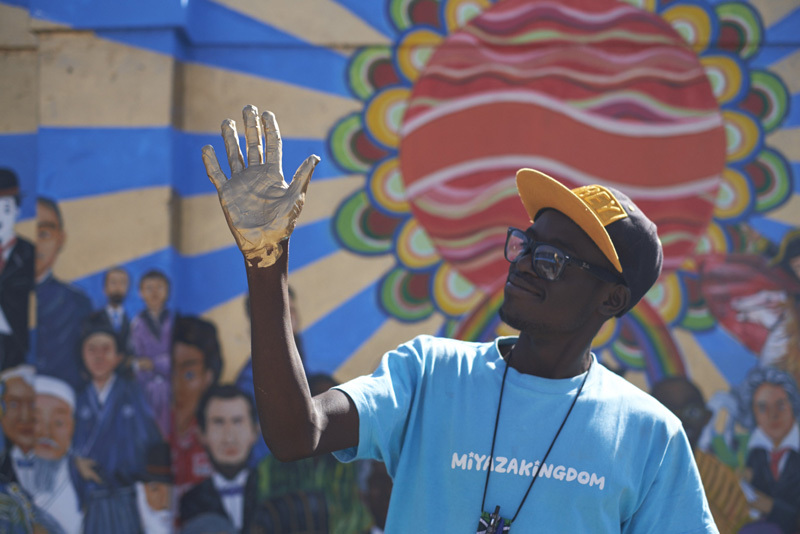 Currently, he has enlisted more than 20 people to help make this mural project a success. 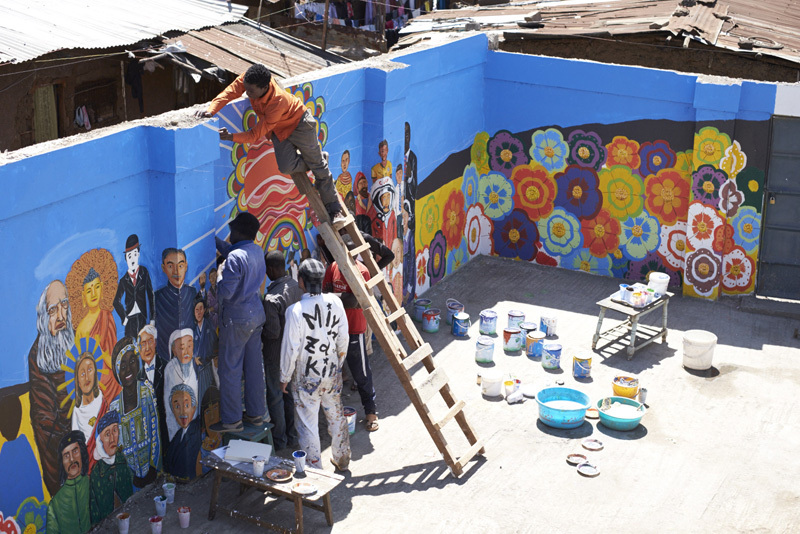 Japanese locals also participate in the project, which increases their awareness of the mural, and the situation in the Kenyan slums. 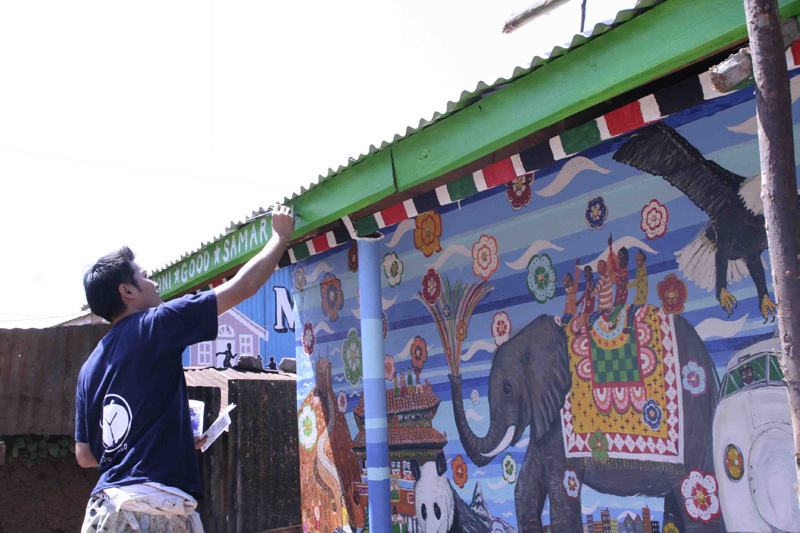 This helped to facilitate a connection between the Japanese and the Kenyans, which we now call the " Japan and Kenya friendship wall". 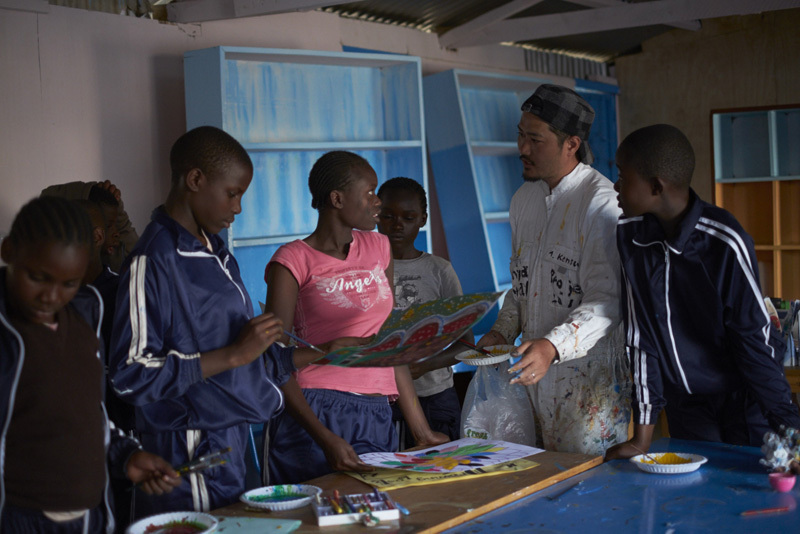 Currently, Miyazaki is working on a draft for the mural with the Japanese children. 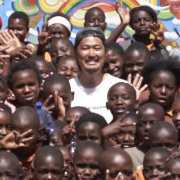 The project is scheduled to be held in Japan and Kenya, where Miyazaki's team would involve the Kenyan people and children to participate in this project. 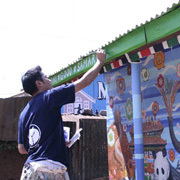 Through this activity, the ties of friendship between Japan and Kenya will be strengthened. 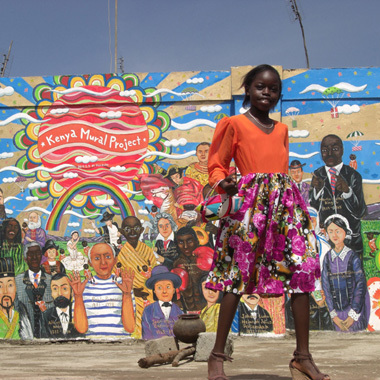 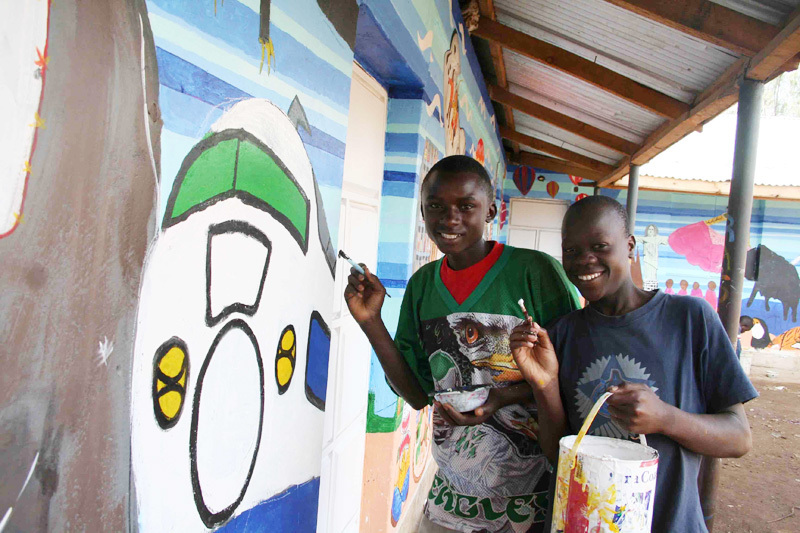 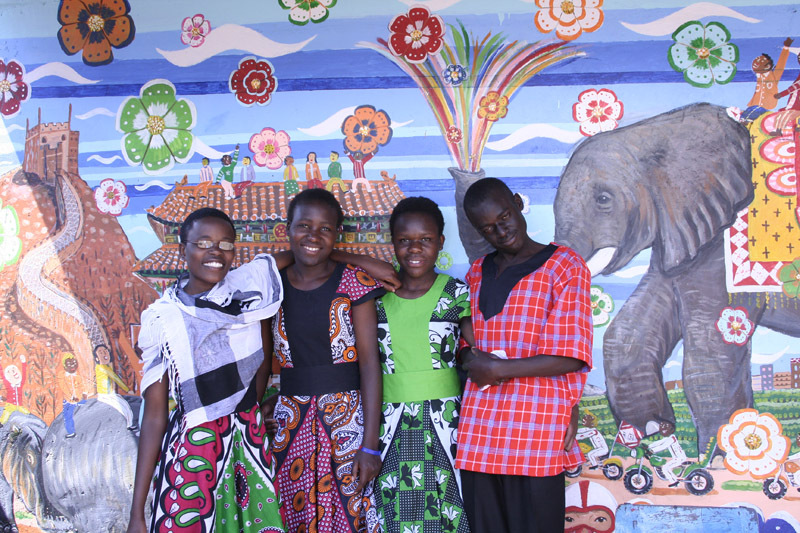 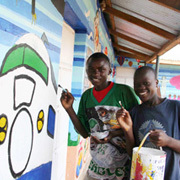 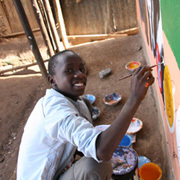 At the same time, this mural is a sign of support to the Kenyan children, especially those in the Kibera Slum.